The governing body in the United States for the standardization of weights and measures is the National Institute of Standards and Technology (NIST), U.S. Department of Commerce. The current guidelines for Weights and Measures is published as NIST Handbook 44 – 2017, Specifications, Tolerances, and Other Technical Requirements for Weighing and Measuring Devices, as adopted by the 101th National Conference on Weights and Measures 2016. 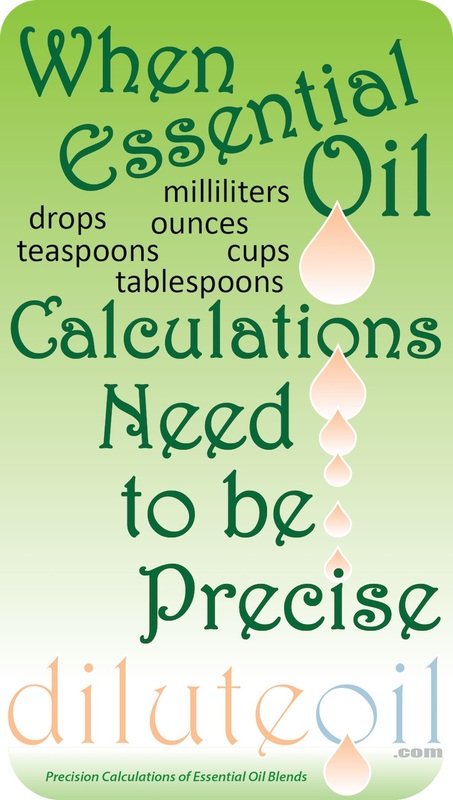 Simply put, the (“20”) portion is always listed to remind you these calculations assume 1ml = 20 drops. 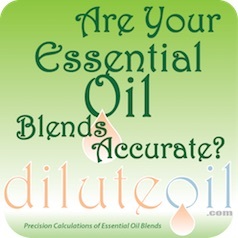 In the essential oil community, there is regular reference to the measurement(?) “DROPS”. There is no legally standardized definition of this term in the official weights and measures of the NIST or other governing authorities. Drops are typically measured as literal drops of liquid from eyedroppers, pippets, euro-droppers, etc. There are various factors that affect the actual volume of liquid in a drop from a dropper. Orifice size of the dropper and the surface tension of the liquid are the two primary contributing factors. To get an appreciation of the differences in surface tension, check out this page on Ananda Aromatherapy. We will discuss variations in dropper orifice size below, but for this discussion, assume that the same dropper size was used for all these measurements. They vary from 25-52 drops per milliliter, by various essential oils. Again, do not take these numbers for YOUR oil, as we do not know what size dropper orifice was used for their list, or used in your oils. Getting specific information from the essential oil suppliers can be difficult, but in researching 18 suppliers websites, there were 8 with no direct information, 3 who like Tisserand used 30 drops = 1mL, and 6 that used 20 drops = 1mL. The 18th was the chart used above showing 25-52, by specific essential oil. Additionally, most of the user groups and social media groups, as well as many bloggers, use the 20 drops = 1mL equivalency. For more information on the impact of using drops and other errors made in calculations see Five Ways Your Dilution Ratios May Be Wrong.